Since 1937, the Colorado Constitution has insured Colorado residents basic retirement income and health coverage. 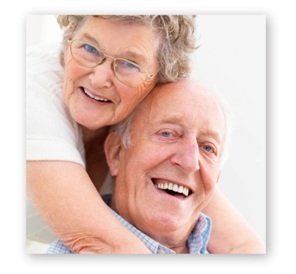 The Old Age Pension (OAP) program provides assistance and health care benefits for low-income adult’s aged 60 or older. Some Old Age Pension recipients may also qualify for nursing home care, community care, inpatient psychiatric care, Adult Foster Care, or a Home Care Allowance. Have a gross monthly income below the established program income limits. If you receive Home Care Allowance, this amount may be larger. NOTE: Income is anything that can be used to purchase food, clothing, or shelter. Some examples include wages, social security, pensions, child support and unemployment benefits, and spouse’s income. Resources are any money that remains unspent from a prior month. Some examples include cash checking and savings accounts, stocks, bonds, some insurance policies and secondary property. Remember: The home, a car, personal belongings, household goods, some burial policies, and some life insurance policies are EXEMPT. They are NOT COUNTED as a part of your resources. However, a Medicaid lien may be filed on property to be collected after death. Be a U.S. Citizen or be eligible under requirements for aliens. To apply for OAP, you must complete an application packet. Please call (719) 383-3100 if you would like a packet mailed to you. Applications cannot be processed until all forms within the packet are completed and returned to our office. You can expect processing of a new application to take up to 45 days. You will need several documents to verify information and you may need to come in for a face-to-face interview. If you do not have all of your required paperwork in order before the interview, you can gather it after.